Aaron Linsdau is the second only American to ski alone from the coast of Antarctica to the South Pole, setting a world record for surviving the longest expedition ever for that trip. He has walked across Yellowstone National Park in winter, crossed the Greenland tundra alone, has trekked through the Sahara desert, attempted to climb Denali solo, and successfully climbed Mt. Kilimanjaro. Aaron is an Eagle Scout and has received the Outstanding Eagle Scout Award. He holds a bachelor's degree in electrical engineering and a master's degree in computational science. 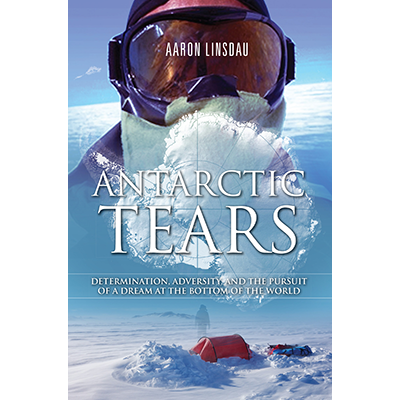 Aaron wrote the book & produced the film Antarctic Tears as well as Lost at Windy Corner. He also wrote the thirteen guidebooks for the 2017 total eclipse. This subscription service takes the load off your organization. Instead of trying to produce videos yourself, let Aaron deliver them for you. Free up your safety training department for other tasks. These videos can be referred to time and again. Creating a Mindful Safety environment is essential to your most valuable resource—your people. When people are hurt, it doesn’t just affect your bottom line. It impacts the well-being and morale of the entire team. No one wakes up thinking they’ll be injured or killed, but unfortunately, it happens every day. Safety is a never-ending job. Not only that, it’s everyone’s job from the CEO to the mail room. These videos help you emphasize the message in a unique way. Access to this expert community includes two e-books, weekly safety videos addressing industrial safety, health safety, staying injury free, continuous safety improvement program, and preventing small problems from becoming big disasters. Engage with Aaron and other community members. Access to this expert community is a one-time fee of $4,995 US. This subscription gives you unlimited access to the content now available, and future weekly content added. Access this expert community at the LOGIN link above. PREFER YOUR OWN PRIVATE EXPERT COMMUNITY? Instead of trying to produce regular company-specific videos, let Aaron deliver these customized videos directly to you. They provide excellent safety talking points at weekly, monthly, and quarterly briefings. Access your own private expert community and share access with your team. Contact Aaron at aaron@ncexped.com to get started. As a safety speaker, Aaron provides a continuous Mindful Safety video series for clients. 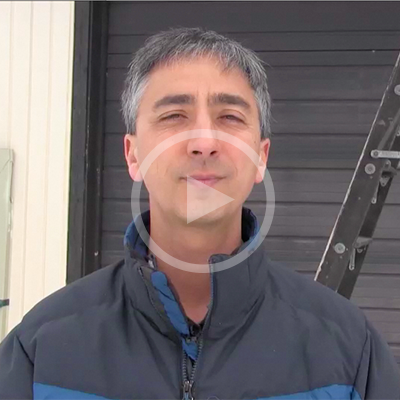 Every week, Aaron delivers a safety tip video to your inbox. These videos are 3 to 5 minutes long and focus on one specific topic of safety. They are a mix of OSHA topics, the psychology of safety, maintaining a positive safety attitude, and creating a culture of 100% safety 100% of the time. Access to this expert community includes current videos already posted and future videos added weekly. Aaron Linsdau had a plan. He wanted to become the first American to ski from the coast of Antarctica to the South Pole and back. It would be a brutal journey of over 1,400 miles, in sub-zero temperatures, and with hurricane force winds. And he wanted to do this alone. Throughout the history of mankind, very few have ever attempted the trek from Antarctica’s edge to the South Pole because, as one climber put it, “It is ten times more difficult than Everest.” Thousands of humans have stood on Everest and twelve Americans have stood on the moon. Yet, only one other American had ever skied to the South Pole alone. And he nearly died in the attempt. Windy Corner on Denali has claimed lives, fingers, and toes. What would make someone brave lethal weather, crevasses, and slick ice to attempt to summit North America’s highest mountain? Denali has claimed over one hundred lives. It seems like the place for risky adrenaline seekers. 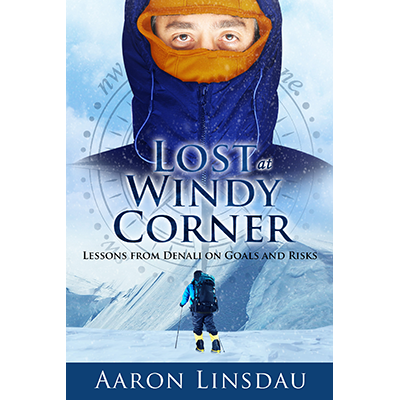 In this book, the author shares the lessons Denali teaches on managing goals and risks. Everyone takes chances at some time in their lives, even if it’s driving down the highway. Becoming a risk manager rather than a risk taker is what will keep you alive during difficult times. Experience the cold, solitude, and uncertainty of life on high mountains. Apply the message, build resilience, and overcome adversities in your life.